The Internet of Things is changing the world, and members of the Industrial Internet Consortium are leading the charge. 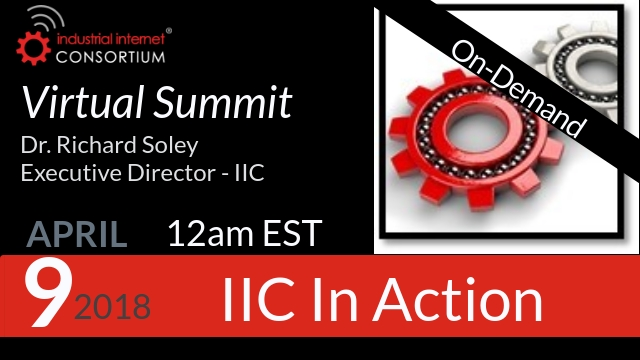 Join us for our Virtual Summit on World IoT Day, and hear from IIC members dedicated to the tasks of delivering a trustworthy Industrial Internet of Things (IIoT) in which the world’s systems and devices are securely connected and controlled to deliver transformational outcomes. Richard Soley launches our USA leg of the event with an overview of What's new in the Industrial Internet Consortium, IIC testbed insights and IIC member value.